The e-ticket does not grant admission. Customers must pick up the physical tickets onsite (instructions on ticket). 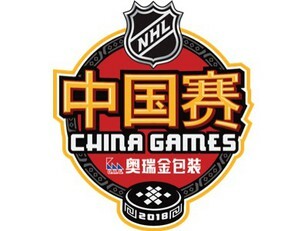 The China Hockey Group (CHG) is the exclusive ticket re-seller in Hong Kong and Macau for the O.R.G NHL China Games and we’ve got exclusive access to some of the best seats in the house -- along with all inclusive packages, discounted travel and accommodation arrangements for the Shenzhen•Longgang Game! Limited to just eight packages, our VIP Family Package offers the ultimate NHL experience. 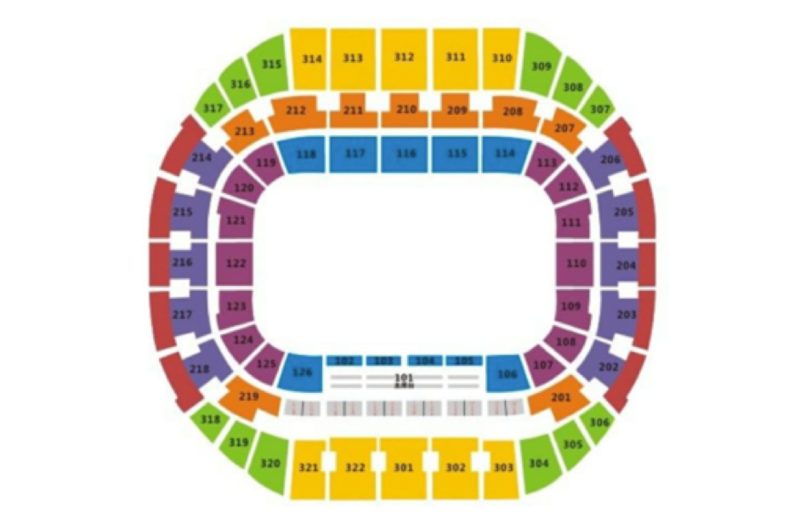 Each package includes four tickets in the premium Blue Bowl section as well as door-to-door, round-trip, ground transportation from Hong Kong to Shenzhen•Longgang in a private seven-seat vehicle. Relax and enjoy the luxury of the Mission Hills Shenzhen•Longgang Grand Family Suite -- a private, two bedroom suite with a separate living area that offers plenty of space for the entire family. The VIP Family package includes two nights’ accommodation and breakfast each day for four, with coach transfers to and from the game. Our exclusive Deluxe Family Package makes for the perfect opportunity for families to experience the NHL in China. Each package includes four tickets in the premium Blue Bowl section, two nights’ accommodation at the Mission Hills Shenzhen•Longgang in a Grand Premier Suite and Grande Executive Room-- a connected 2 bedroom suite. Breakfast for four is included in this package, as well as round-trip coach transfers to and from the game. The Deluxe 2-Person Package offers an excellent opportunity to experience the NHL preseason in China. Each package includes two tickets in the premium Blue Bowl as well as two nights’ accommodation at the Mission Hills Shenzhen•Longgang in a Grand Executive Room, with breakfast for two, as well as round-trip coach transfers to and from the game. 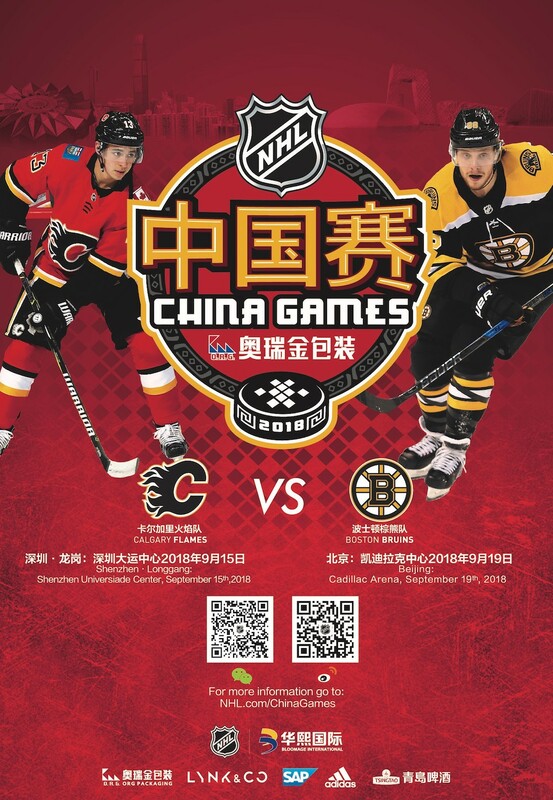 The world’s premier hockey league is bringing the Boston Bruins and Calgary Flames to face-off in the second set of preseason Games to be played in China. The 2018 O.R.G. 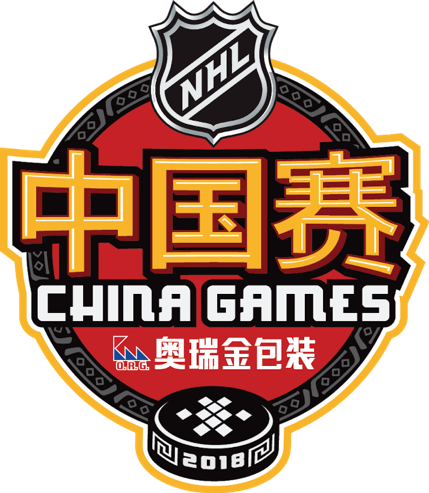 NHL China Games will be played on September 15th at the Universidad Arena in Longgang District, Shenzhen•Longgang and September 19th at the Cadillac Arena in Beijing. The Boston Bruins, led by 6-time All- Star and James Norris Memorial Trophy (greatest all-around defensive abilities), Mark Messier Leadership Award recipient (Superior leader), and 2-time Presidents’ Trophy (most points during regular season) winner captain Zdeno Chara. 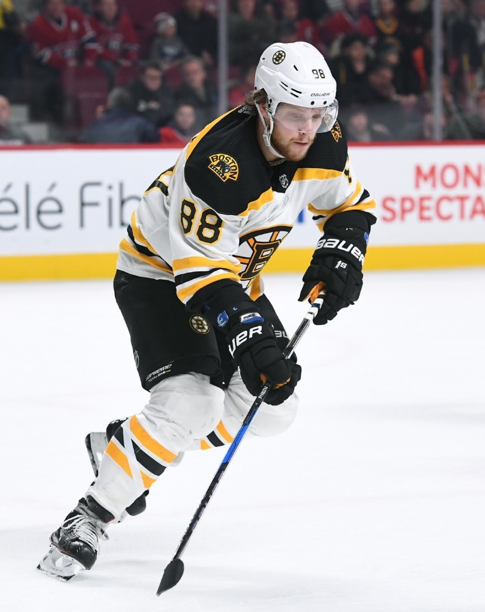 Along with 2-time Boston Bruins 7th Player Award (performed beyond expectations) and 2-time Golden Hockey Stick (top Czech ice hockey player) winner David Pastrnak, are 6-time Stanley Cup champions, 25-time Division Champions and 4-time Conference champions. The Bruins play in one of oldest cities in the United States. 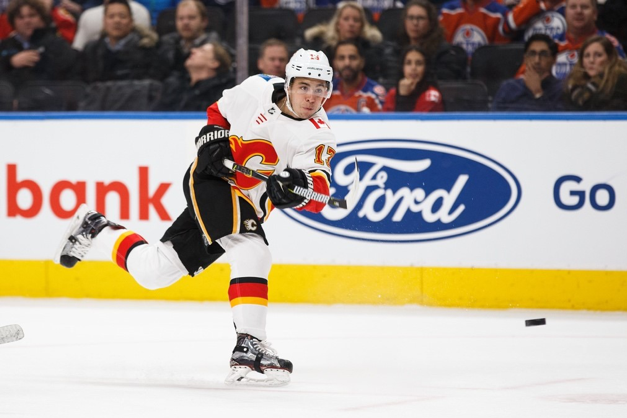 Their western conference foe, the Calgary Flames, led by Mark Giordano, 2-time NHL All-Star and winner of NHL Foundation Player Award (apply core value), also deaturing the young-star in Johnny Gaudreau, a 4-time all-star and Lady Byng Memorial Trophy (sportsmanship) winner. The Flames play in the Pacific Division in Canada and have a proud hockey history with 1 Stanley Cup, 6 Division Championships and 3 Conference Championships.